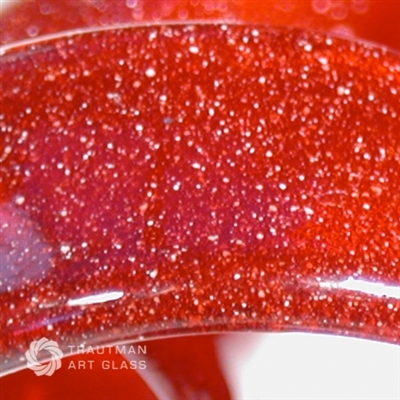 Red Blizzard is a transparent to semi-opaque red glass shot through with flecks of white glass “snow.” Rough rods that smooth out in the flame. Red Bliz should be worked in a neutral or oxidizing atmosphere to keep the white bits from boiling but its a pretty flame tolerant glass. The “snow” of the Blizzard line resembles stone or old-fashioned speckled enamel-on-metal dishes.